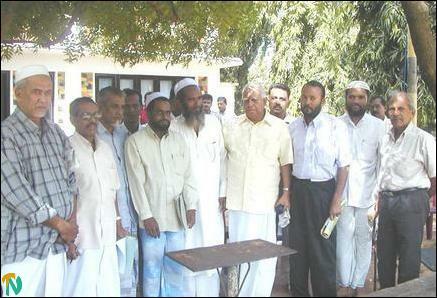 Parliamentarian Mr.Sampanthan told the Muslim delegation that the TNA would not tolerate any injustice done to Muslims. Muslims and Tamils should join hands to find a lasting and sustainable political solution to the ethnic conflict, Mr.Sampanthan said. "If we, Tamils and Muslims are divided there will not be peace in the country and our problems also would not be resolved. Further we have to suffer forever," Mr.Sampanthan said. Kinniya Jamiathul Ulama Council delegation led by its secretary Mr.A.R.Hithayathullah briefed the TNA parliamentarians the background of the violence and said it was high time to put a stop to the violence and to restore normalcy in the division, sources said. Ulama delegation brought to the notice of the TNA MPs that all the seven killed in the violence in the Kinniya division were Muslims. The delegation added that the Ulama council had taken every step to arrest deteriorating situation on behalf of their community. TNA parliamentarians Messrs R.Sampanthan and K.Thuriretnasingham with Kinniya Jamiathul Ulama Council delegation led by its secretary Mr.Hithayathullah. The Ulama delegation further pointed out that unity between the Muslim and Tamil communities should be safeguarded to ensure ethnic harmony in the district, sources said. TNA parliamentarians appealed to the Ulama council leaders to continue their efforts to restore normalcy in the Kinniya division and to ensure harmony between the two communities. TNA would extend its wholehearted support to the peace efforts taken by the Ulama religious leaders. Chinabay Police OIC Mr.Clement Fernando, Police Inspector Mr. Gunaretna, OIC Kinniya police station Mr. U.L.D.S.Priyantha and Sub Inspector Thameem, OIC, Kinniya Telecom Police post also participated in the discussion.